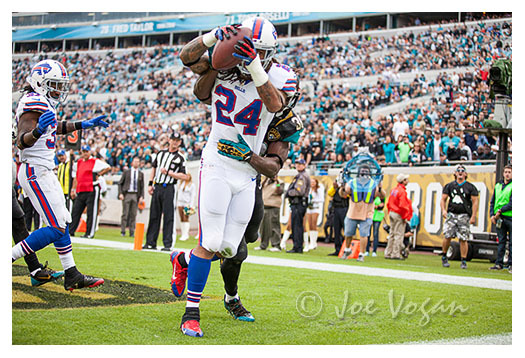 Last weekend when I was shooting at my first NFL game, the Jaguars were trying to tie the game late in the 4th quarter when the Bills’ Stephon Gilmore intercepted a Chad Henne pass in the endzone. TV shot as the players celebrate the intercepton. A friend sent me this TV screenshot taken just after the play so I thought it would be fun to show the play from this vantage point. Below is the interception from my angle. 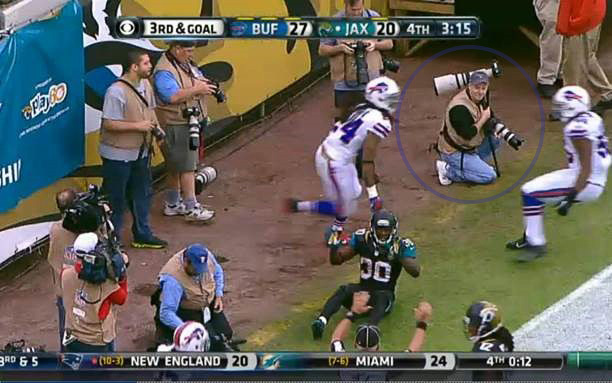 This entry was posted in Florida, Football, Sports and tagged Buffalo Bills, football, game, Jacksonville Jaguars, National Football League, NFL, photography, Television by Joe Vogan. Bookmark the permalink.